We live in a world that thirsts for entertainment at the harmful expense of others including our animals and land. If we can conquer that ignorant disorder, perhaps then we’d have a shot at healing our planet and people. Part of the beast includes a corporate system that will never approve of a mindset that encourages consumers to protect themselves and the earth because of insatiable greed. But if we don’t wake up and choose a healthful life then aren’t we courting death…and a horrific one at that? 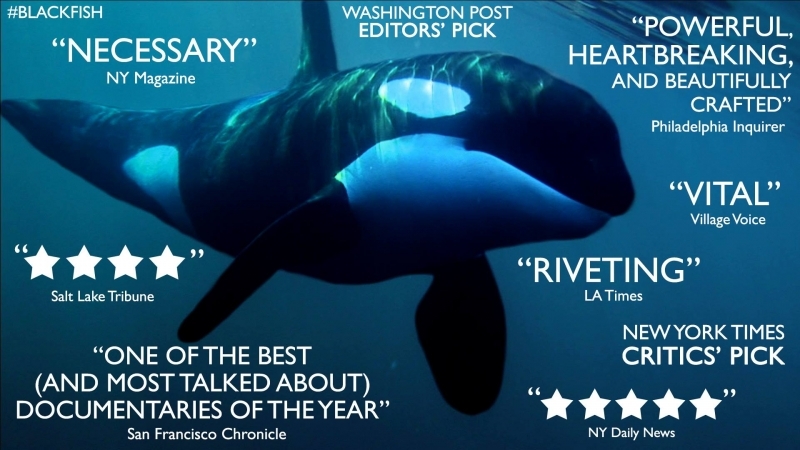 The documentary Blackfish exposes a treacherous reality that should call us to think about why we pay corporations for toxic relationships. In the case of SeaWorld, theirs is one that wants us to believe that their money-making machine is good for marine life. Vocal marine biology experts; former SeaWorld trainers and employees; and anyone opposed to keeping orca whales in captivity would call it is a monster — a place where whales, trainers, and the public are being cunningly exploited and where lethal consequences and preventable injuries have undeniably been occurring. And worse, the lavishly packaged animal cruelty, because we’re supposed to be awed and inspired by their orca whale shows, is the grand revenue generator. Also, research indicates that this high mortality risk job pays an average of less than $50,ooo. per year. SeaWorld was fined $75,000 by the OSHA, the U.S. Occupational Safety and Health Administration, for a “willful” safety violation following the death of trainer Dawn Brancheau. Whether or not you believe the documentary, the value of Blackfish and the win for everyone is to begin to ask more important questions. The director/writer of the award winning film, Gabriela Cowperthwaite, was not an animal rights activist when she began the process. She simply wanted to find out why an orca killed its trainer (three individuals in total died). It was a great question that launched an insightful exploration through layers of devastating, educational, and emotionally explosive discovery. 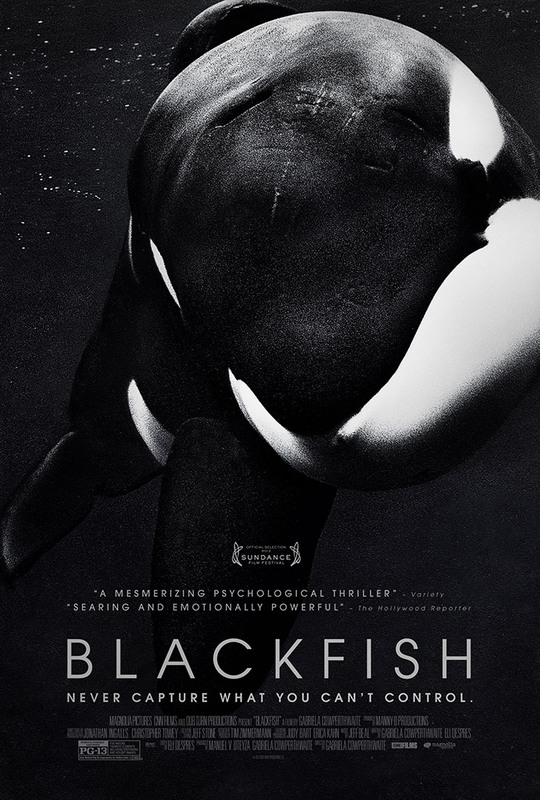 The controversial Blackfish is available on DVD. This entry was posted in Against the Odds, Community, DVD, Education, Entertainment, Family, Healing, Health, Kids, Loss, Movies, Nature, News, Parents, Relationships, Science, Spiritual, Tragedy, Trainers, Victim, Women and tagged Blackfish, calves, CNN, Dawn Brancheau, FFCC Award, John Hargrove, Katina, Killer Whale, Orca, OSHA, SeaWorld, SEFCA Award, Sierra Award, the orca project, Tilikum, Trainers, WAFCA Award. Bookmark the permalink. I just saw Blackfish on Netflix and I was horrified. I will never go to Sea World again. Thank you for helping to get more awareness out. Thank you for taking a stand Elisa. That’s what’s needed to heal our planet and stop all the greed. Thanks for reading and sharing here! Wow, I must see this documentary. It’s on Netflix too Lola! I hope everyone can see it and even research what’s going on. Thank you for commenting and sharing!